It’s been quite awhile since I’ve posted a blog. Having twins under two years old has a way of doing that to a guy. While alls well on that front, it’s time to write again. And what do I write about when it’s time to write? Well, writing. Specifically, my mom’s writing. 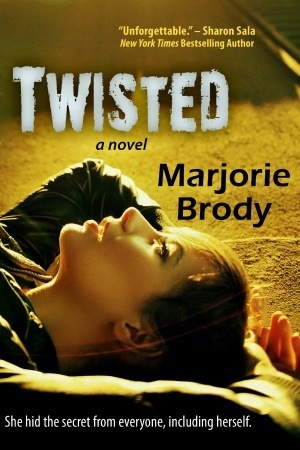 My mother’s first novel, a psychological suspense entitled Twisted, has been published and is now available for purchase on Amazon, Barnes and Noble, and Kindle, among others. Needless to say, I’m a super-proud son. If you’ve spent any time in the writing world, or know anyone who has, you know how incredibly difficult the process is to get your work officially published. My mom has been at it for years with weekly writing groups, conferences, manuscripts and discussions with editors. For a publisher to take a chance on a “new” writer is third-party validation that your work is worth doing. It also — and perhaps most importantly — means the publisher thinks they can make money off your work. So it’s a great accomplishment. And now it’s time to do your part to help. Download a Kindle version, or buy the paperback for yourself. Read and post a review. And if all goes well, look for the next book someday soon by Marjorie E. Brody!